Posted by Carolyn Burns Bass in literary fiction, multi-cultural fiction. Media Monday for May 7, 2012: By the Book: Neil Gaiman: By the Book, New York Times, May 3, 2012. 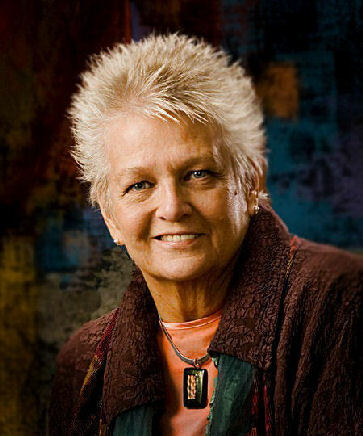 Author Anna Jean Mayhew, guest host of #litchat on May 11, 2012. Some people look back at the 1950s as that idyllic mid-century time when America was at the apex of glory. These are mostly those who didn’t live through them, or at least didn’t have to endure the harsh laws that maintained the mirage. If you lived in the South during the first half of the 20th century you saw a different image of America. Within that image of prosperity and freedom lurked a set of laws contrived to enforce the “separate but equal” ideology that conjured the illusion. On Wednesday, May 9, we’ll discuss how Masks & Mirages have been used in fiction, then on Friday, Anna Jean Mayhew, author of The Dry Grass of August, joins us to further this discussion. In The Dry Grass of August, Mayhew introduces us to the Watt family of Charlotte, North Carolina. They look like the all-American family climbing the financial and social ladder during the booming post-war economy of the early 1950s. They have a spacious home in a desirable neighborhood of Charlotte, they belong to a country club, their Donna Reed-like mother stays home managing the colored maid, while the father runs his business and rakes in money enough to support the illusion of the American dream. Things go south for the Watts family during a road trip to Florida when their colored maid, Mary, falls victim to the racism that cruised the streets of redneck towns in the 1950s. Like in many novels, the maid is drawn as the heart of the family, having practically raised all four children while the mother was off playing bridge or having pedicures. Told through the eyes of 14-year-old Jubie, or June as she’s called when she’s in trouble, the story peels the veneer back on the “happy days” of the 1950s South, with the Jim Crow laws connived to keep African-Americans from true integration into the “separate but equal” society. Jubie’s at the perfect age to tell this story which glimmers of first crushes, conflict with parental ideals, and indiscreet relationships in both business and personal life. The Dry Grass of August is one of those novels that blurs the lines between genres. Is it YA fiction. Yes. Is it women’s fiction. Definitely. Is it literary fiction? Absolutely. Anna Jean (A. J.) 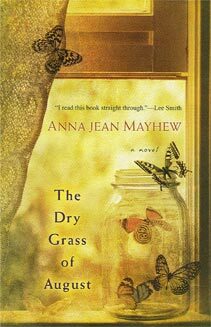 Mayhew’s first novel, The Dry Grass of August, won the 2011 Sir Walter Raleigh Award for Fiction, and is a finalist for the 2012 Book Award from the Southern Independent Booksellers Alliance. A Blackstone Audio book came out in December, and the French translation was published in April. The book will also be translated into Italian and Norwegian for release in 2013. In February, A. J. was a featured speaker at Southern Voices in Birmingham, AL, along with novelist Scott Turow. Last September, she dined with Governor Beverly Perdue at a gathering to honor North Carolina authors, and is now working on her next novel, Tomorrow’s Bread. View the video trailer of The Dry Grass of August. Follow Anna Jean Mayhew on Twitter: ajmwrites.